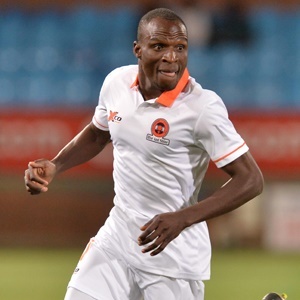 Cape Town - Despite being the talk of the Absa Premiership, Polokwane City striker Rodney Ramagalela is not fazed by his lack of an international call-up. Ramagalela has hit the ground running this season with six goals in 10 league games and was on Thursday named as the Absa Premiership Player of the Month for October and also claimed the Goal of the Month prize for August/September. The 28-year-old netted 10 goals for Rise and Shine last term, but despite Bafana Bafana having no regular-scoring forwards at present, he is yet to get a call-up. "When it comes to the national team we don't have control over that," Ramagalela accepted. "As long as I keep on working hard and wait, just like you guys who are waiting to see if I will be selected for the national team. "But at the end of the day, we are all South Africans so we should support our national team and the only thing we have to do is go to the stadium and support the team. "I believe my chance will come as long as I keep on working hard," the former Mamelodi Sundowns striker added. The Limpopo-born marksman says his main focus is to ensure a successful season for his club side. "I think as a team we have done well to make sure we are in a good position," he said. "I believe that if I stay injury free I can make it happen for myself and the team also. So I will just keep on working hard and see if I can go."